Dana Day, The Boeing Company, has been selected as the recipient of the 2018 Kenneth W. Porter Award in recognition of her many contributions to the education of K-12 students by showing them the exciting opportunities available in engineering. She works as a project engineer in the 737 flight controls organization at Boeing, where she leads value engineering projects to identify cost savings and validate the cost benefits for each project. In 2017, her teams booked over $13,000 in savings per 737 airplane for flight controls components. She has long been an advocate for promoting science, technology, engineering, and mathematics to young girls and is an excellent role model for K-12 students. 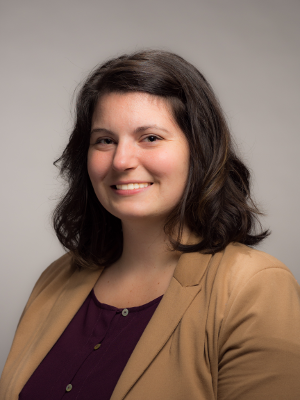 As the Section Outreach Coordinator, she launched the highly popular SWENext program for girls in K-12 to engage with STEM mentors, learn about engineering through activities, and build a network of like-minded STEM girls. This year she helped organize the 2017 Design Lab event at the society’s local regional conference for over 120 middle school students, 60 parents and educators, and 40 volunteers. For the Washington Alliance for Better Schools, she has taught mathematics to 4th and 5th grade students as part of a six-week, after-school program. For the past seven years during Engineers’ Week, she visited numerous schools in the Puget Sound Region promoting engineering as a career. She also reinvigorated a relationship between the Section and the Girl Scouts and organized “exploring engineering” events that hosted large groups of Scouts several times per year. She serves as an outstanding role model for young students who are trying to find a path in STEM education. She motivates others by illuminating the potential to make a social impact as an engineer.